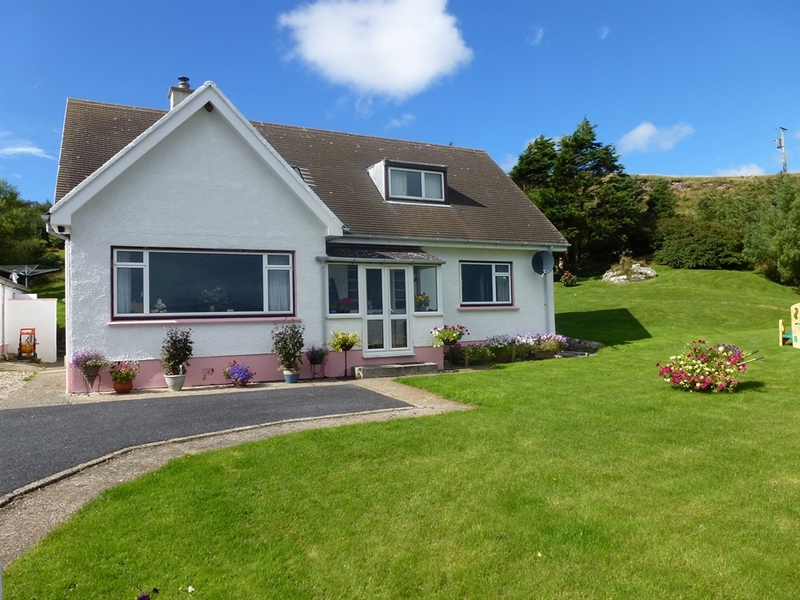 Uninterrupted sea views opposite this homely and comfortable accommodation with a large pretty garden for guests use. Bedrooms overlook Lochindaal and have modern en-suite facilities with TV and free wifi, home baking and fine breakfasts. In addition to the prime location of Isobel's BnB, guests will find themselves extremely well looked after - starting on arrival with fresh coffee, choice of teas and homebaking in their new conservatory which opens on to the spacious garden. Help with guests itinerary and an informative list of phone numbers is given, along with tips on the best corners of the island to visit. Comfortable beds with nice linen and modern en suite facilities help ensure a good nights sleep. Guests are, of course, welcome to come and go as they please - our doors are always open. Bruichladdich distillery is a short stroll away - and the pretty village of Port Charlotte is only a 5 minute drive should you fancy a meal or more at one of the restarants or hotels. Breakfast time is special and cooked to order - in addition to yoghurts and freshly made bread and pastries with only fresh orange juice and freshly brewed coffee. This is served in the rear conservatory, looking up at the garden where you can watch the wildlife with many birds, including a couple of pheasants close by.